Cuccio whitening paste is a quick and easy way to brighten and whiten nails. 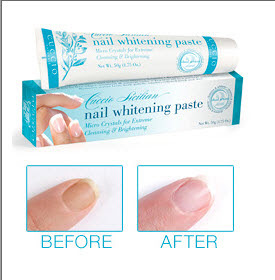 This easy to use whitening paste removes stains from dark nail polishes, harsh chemicals and the environment. Please note that you might need to use the paste for 2-3 times before you see the whitening effect.